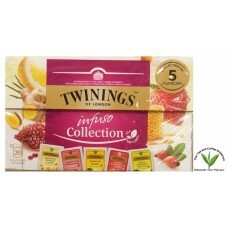 Tea Type- Twinings Tagged and Enveloped Teabags, Variety mix. Perfect For- A gift, home, Office, come to think of it just about anywhere for anyone and for anything! Caffeinated- There may be Decaffeinated varieties however this varies per box, as they come pre-packed from the UK. Description- Made from fine dark wood and finished with the Queen's golden Royal Warrant and solid brass hinges and openings. 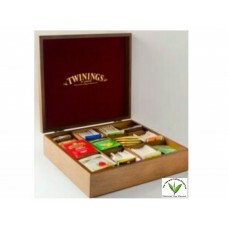 What We Think- One of the most popular items in our store, Twinings in synonymous with quality and this box offers nothing less. A great gift, a great treat for yourself, either way you’ll be sure to enjoy it.